Accidentally deleted some of your important files? You want to recover those data right now! YES, it's possible by choosing a suitable undelete tool. EaseUS undelete software can easily retrieve these deleted files from the hard drive and external drive also. If you are looking for the best secure data recovery tools then EaseUS will be the best choice to securely recover your lost files. EaseUS recovery utility tool can easily bring back lost data from internal hard disk drive as well as external hard- drive also. EaseUS recovery tool is 100% safe to recover any confidential files for professional purposes like forensic data recovery and much more. This free data recovery software can run even on Windows Servers - 2000/2008/2003 along with Vista and XP. However, we have tried this on Windows 7, 8, 10 and this tool performs very well to restore a shift-deleted file. EaseUS provides free download for its full version and you can get an activation key from TrialPay for free in a legit way. Also, you can recover files up to 2GB for free without any serial key. EaseUS data recovery wizard scans and lists of the files which are recoverable. EaseUS supports FAT12, FAT16, FAT32 and NTFS drive systems to recover from a damaged or lost partition. Although, this tool holds the top position to undelete a deleted file from hard-drive. Some important points are given in this article to do a quick review of EaseUS data recovery software. EaseUS is having all features like image files recovery, video file recovery for MAC, Windows, Android etc. Also, this tool can recover emails from Windows OS. 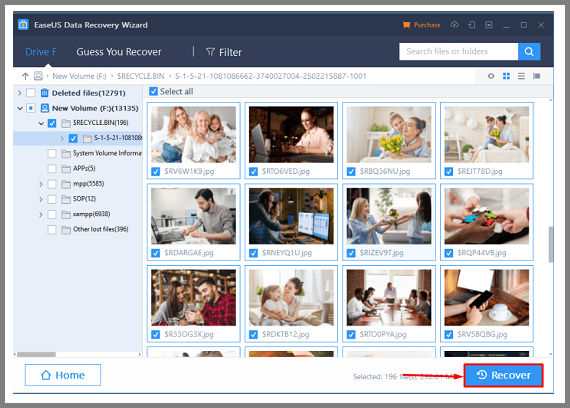 EaseUS recovery tool offers full version for free to find and preview lost files and recover up to 2GB of data for free. So, if you need to recover data up to you can try this free version without any license key. If you are looking for a utility tool to recover data from your corrupted memory card or lost data from memory card then this EaseUS memory card recovery wizard can easily do this for SD cards, Microcards, CF cards etc. Getting an easy & perfect third-party tool for USB drive recovery it a really huge effort. EaseUS is the best option which you can trust for USB recovery. EaseUS USB recovery wizard is a good choice in case of bringing back lost files from USB drives. EaseUS is available on multiple OS like Windows, MAC, iOS and Android. The best part is all versions are offered for free download. That's mean you can search and view the recoverable files to choose either to buy or not. EaseUS undelete tool PRO version is really cheap and value for your money. This tool lists all recoverable files at first then you may purchase the PRO version as per your need. As it lists the recoverable files the chances of successful recovery of important files are extremely high and would not waste your money. You will get to use the Free trial of the PRO version also with EaseUS. 1) Search recoverable files for Free. 2) Offers 2GB of free recovery. 3) Runs on multiple OS. 4) Unlimited recovery on PRO version. 5) Includes RAW recovery, Lost partition recovery. 1) Low performance to recover inaccessible data from various data-loss circumstances. 2) Cannot scan full hard-drive. 3) Does not provide options to scan by file type. Let's understand the process to recover a lost file using EaseUS undelete tool. 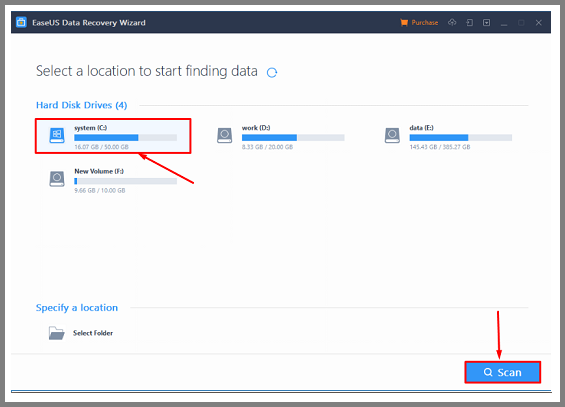 How to Recover Deleted Files with EaseUS Recovery Wizard? 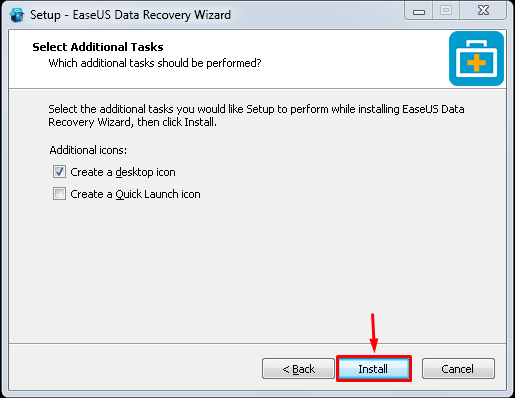 Just follow the step-by-step guide to complete recovery process for EaseUS undelete tool. 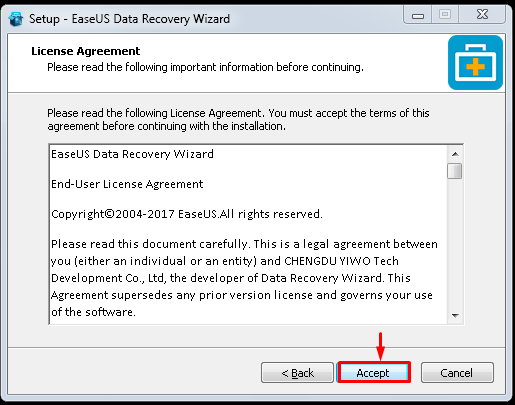 At first, Accept the 'License Agreement' after running the EaseUS setup. Then select the drive and click on 'Scan' button. Then you will get 'Quick Scan' and 'Deep Scan' options. Just let's complete the scanning. Now select the file from the Deep Scan or Quick Scan folder and click 'Recover' to complete recovery. This is the simple procedure to complete a file recovery using EaseUS undelete tool. You can easily do any recovery with EaseUS. But, this tool is quite good for the professional. However, if you need to recover for personal use this tool is enough to recover a file. You will the option to scan and find the files for FREE without purchasing a license key and also can recover data up to 2GB for free which is the best fitting to download this tool right now and give a try.